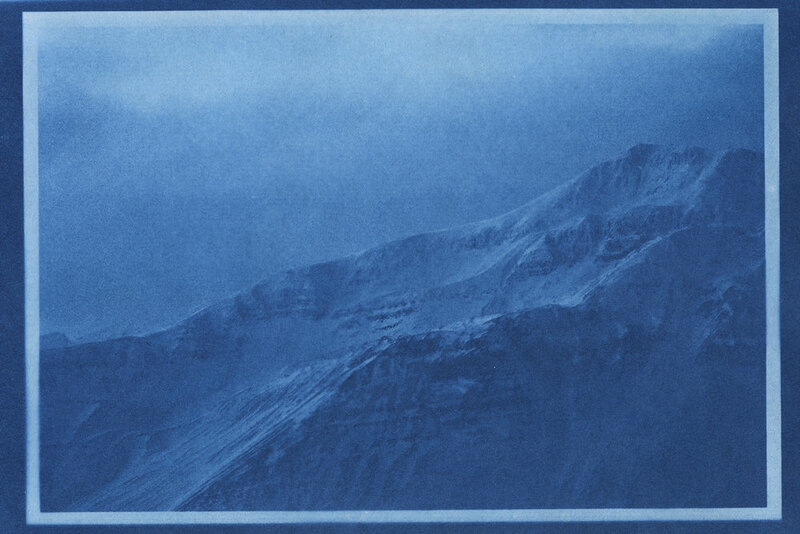 This series was created while an artist-in-residence at Gamli Skoli in Hrisey, Iceland. The repeated image was taken during my first morning on the island while watching the moon set during the sunrise. 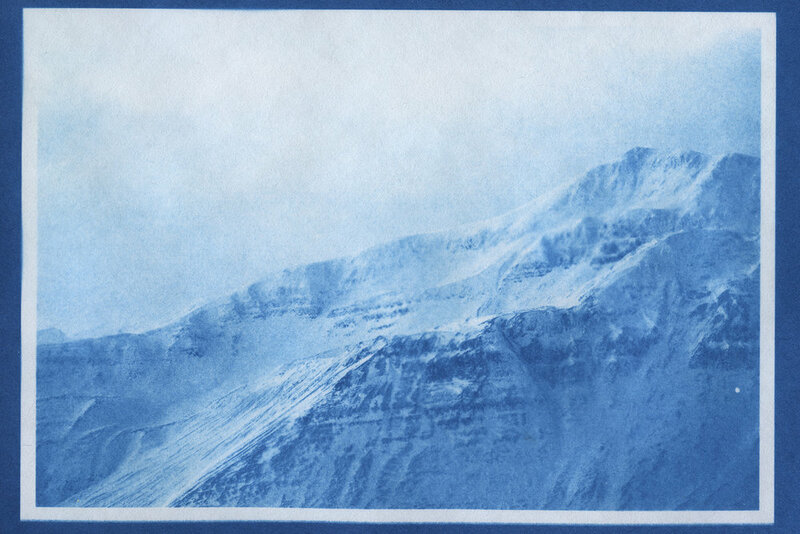 Converted into an inkjet negative, this first impression was printed daily from sunrise to sunset. 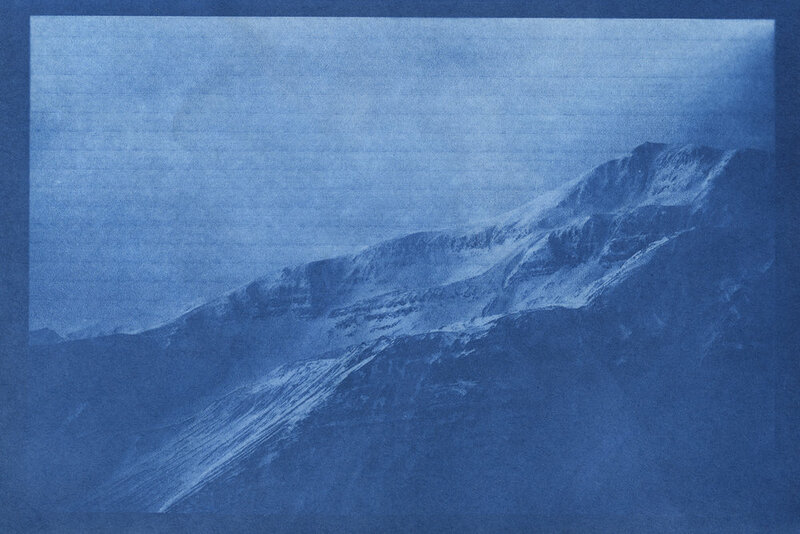 The daily habit of printing this image captures the duration of daylight I experienced during my month's stay. Each day is therefore represented in a one of a kind photograph. Organized into chronological order, a record of atmosphere remains. 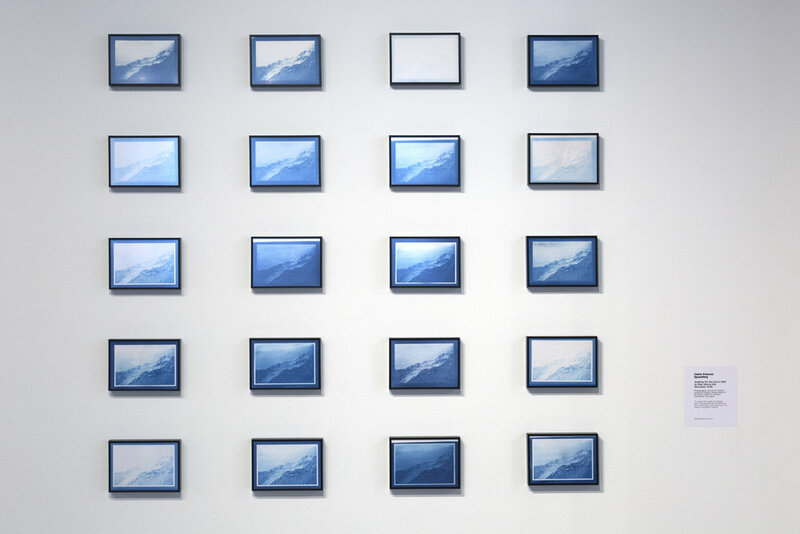 Below is an installation view of Waiting of the Sun's Path to Rise Above the Mountain | Hrisey, Iceland 2018 as seen in the Sullivan Galleries March 2018.